What unfolds when you listen and see without the distortion of judgment? What diamonds are hidden an inch beyond one's judgment? 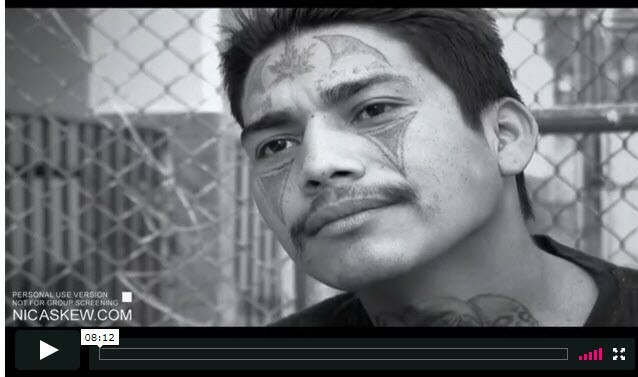 Here, you see the first impressions of Juan Carlos Molina, Director of Rehabilitation in the Guatemalan Penitentiary System, of seemingly hardened incarcerated prisoners, faces tattooed with symbols and words, insignia of dangerous gang affiliations -- Juan Carlos feels fear, uncertainty. But when he peels back the layers of judgment, he discovers the human story each prisoner holds. This video and its reflections invite us to hold space for an opportunity that exists between any two souls to delve into clarity and understanding without judgment. A film by Nic Askew. More at Soul Biographies.